Mike Duncan, host of The History of Rome podcast and Revolutions, constantly gets asked "Is America doomed to the same fate as the Roman Empire?" Today he points to some startling parallels to US current events including populist demagoguery, economic inequality, the erosion of societal norms, and debate over who deserves to be a citizen. He also offers ideas on how the American Republic can avoid the same fate as the Roman Republic before it's too late. Order Mike ... See More Duncan's book The Storm Before the Storm: The Beginning of the End of the Roman Republic on Amazon or download the audio book at Audible.com. Subscribe to Revolutions and The History of Rome wherever you listen to podcasts or visit www.revolutionspodcast.com and www.thehistoryofrome.typepad.com. Follow Mike on Twitter at @MikeDuncan. Today's episode is sponsored by Tripping.com. 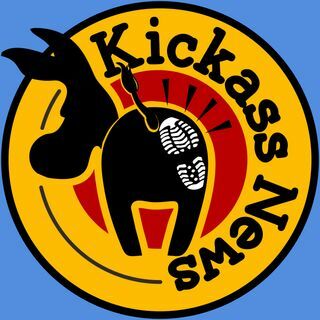 Please subscribe to Kickass News on Apple Podcasts and take our listener survey at www.podcastlistener.com/KICK.